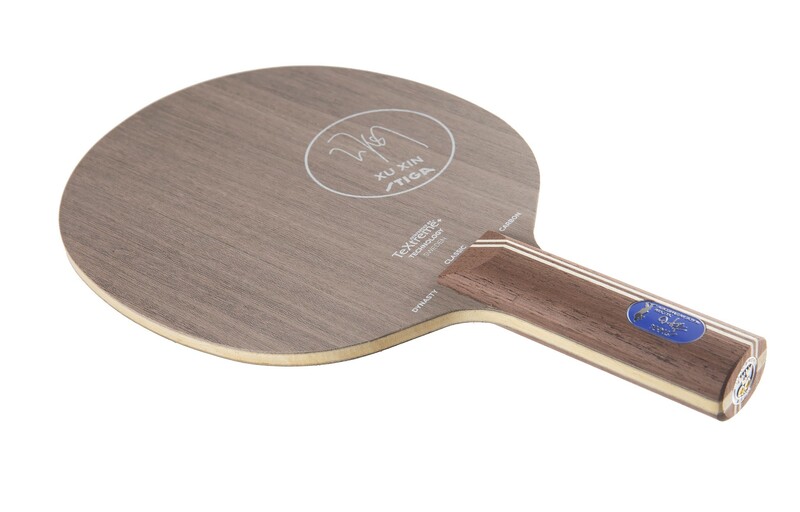 Made in cooperation with and for Xu Xin, the Dynasty Carbon Xu Xin Edition strikes an excellent balance between the classic feeling of an all wood blade with the power and feel expected from a high quality offensive carbon blade. This blade has been constructed in a way so as to make the playing characteristics of the blade surface consistent at all points without impacting the weight. 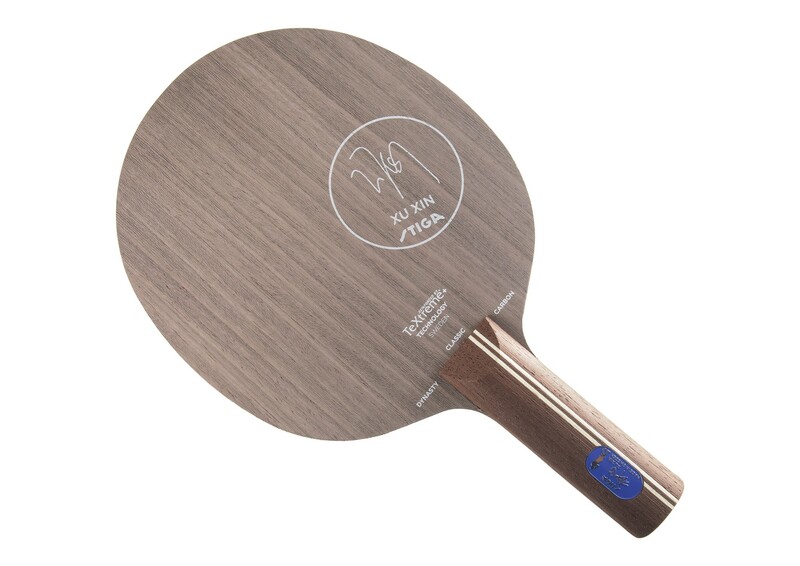 Dynasty Carbon is built with a thick middle veneer which enhances the core feeling and overall balance of the blade. The outer veneer is Koto, chosen for its quality and close to the net game dwell time in comparison to more traditional outer veneers. 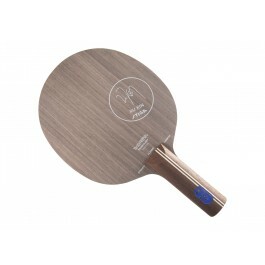 This blade which combines superb touch with strong power, gives you the potential to hit shots as powerful as Xu Xin. The Dynasty Carbon Xu Xin Edition includes a signature of Xu Xin and features a uniquely designed lens by Xu Xin and his wife, former Chinese National Team player Yao Yan, describing their love story.